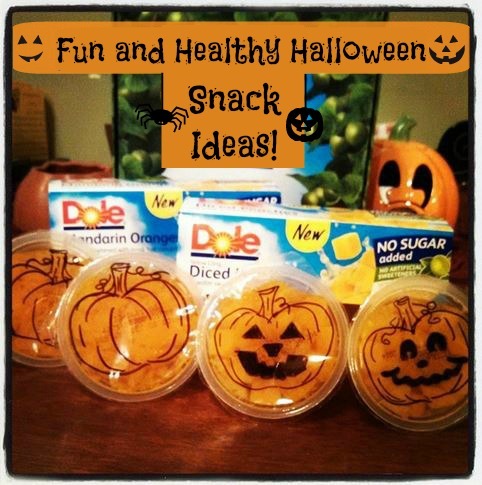 One Momma Saving Money: Fun and Healthy #Halloween Snack Ideas or Treats for School! Fun and Healthy #Halloween Snack Ideas or Treats for School! With Halloween just around the corner we know that candy and junk food will inevitably be haunting healthy families. Send a fun and healthy snack option to the classrooms this year! Pick up some fruit cups and get creative! Using a marker draw on pumpkin shapes, jack o'lanterns, bats, witches , etc. Get creative, write cute messages, draw a spider, ghost, etc. Kids won't care if you are not artistic, they will love it no matter what!